In recovery, we speak of a supernatural—or spiritual—experience that sparks our will in the direction of faith. Just like we heard in the parable of the buried treasure and the parable of the fine pearl in last week’s Gospel, the route we take to find spiritual treasure can vary, as can the intentions behind finding such gifts. 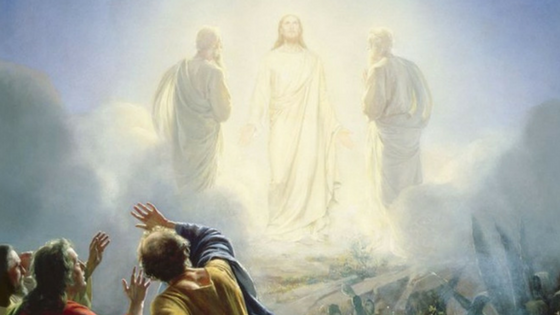 The story of the transfiguration of Jesus Christ reveals the height of all spiritual experiences here on earth: when we recognize Jesus in His purest form. Moments like these can come early in the recovery process for some, while others may not share such an awakening until getting deep into the Twelve Steps. There are often stories of individuals finding miraculous healing through the Sacraments of the Church, particularly through Reconciliation, the Eucharist, and Anointing of the Sick. The experience, strength, and hope shared by Peter in this passage can be similar to ours as we try to describe what has made things in our lives different. Sometimes that means refuting claims that we are following an ancient myth by giving our own witness to what He has done in our lives. Sometimes this is difficult, as it can often be to describe the supernatural. At Christ’s baptism, the voice of God proclaims the same words, “This is my beloved Son, with whom I am well pleased.” Our identity lies in the truth that we are beloved sons and daughters of God. Our relationship with Him, and our willingness to surrender to his will for us, can depend on whether or not we claim that identity. Oftentimes, the grace to encounter a life-changing experience is accompanied by a fellowship of others seeking to witness it themselves or keep it by giving it away.